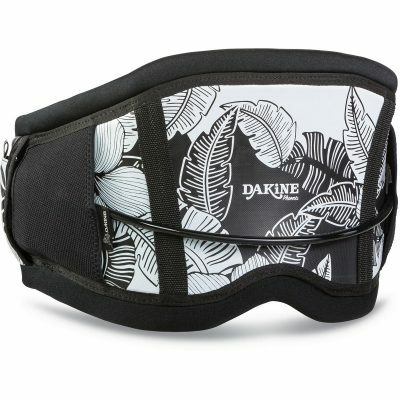 New to the 2017 Dakine Wahine Harness is the Dakine Push Button Dual Sport Spreader Bar featuring the push button easy connect and disconnect. Features a built in crossbar for hold down webbing strap, freedom shape spreader bar pad for comfort. Complete with hook knife. 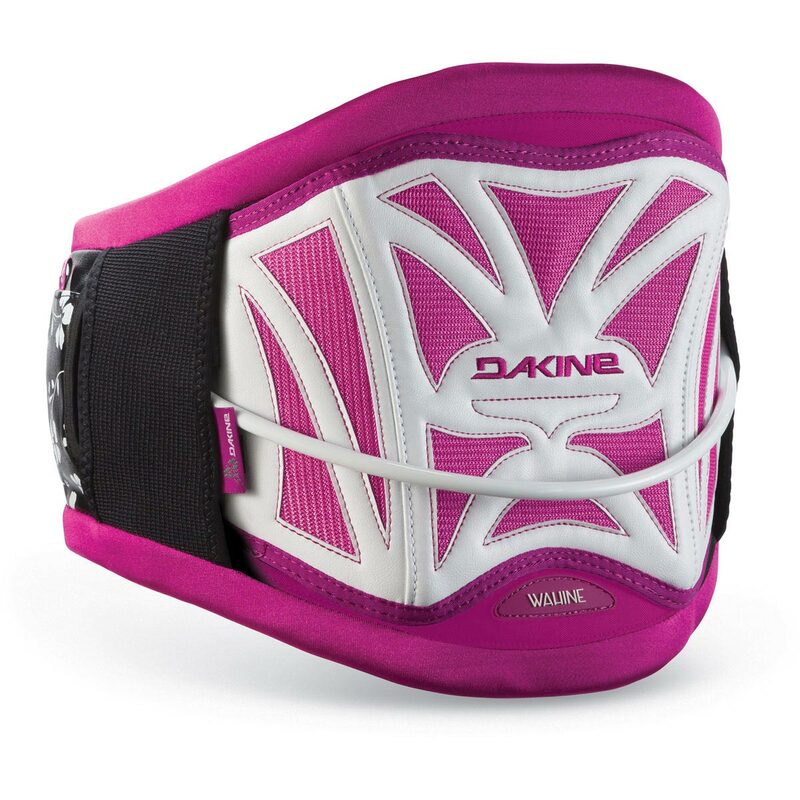 In 2016 Dakine replaced their old thermo molded back support with their new memory foam pressure point relief system. The result is that the back support contours to your body much better with a softer foam which makes for a very comfortable ride. If you haven’t tried a harness with this new memory foam in it yet, do it! You will never want to go back. The Wahine harness by DaKine is specifically designed with the unique demands of female windsurfers and kiters in mind. It provides superior support and flexibility with a comfortable fit.